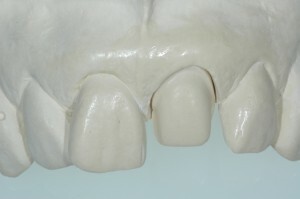 Teeth often have fractures and cracks which extend into their internal softer dentin tissue core. 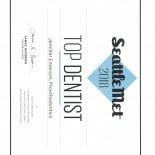 Veneers are porcelain glass laminate natural looking tooth facings used to protect the underlying tooth tissue much the same as a piece of glass on a tabletop protects and strengthens the table. Veneers not only make teeth look better; more importantly, they strengthen and promote the core health and long-term function of teeth. 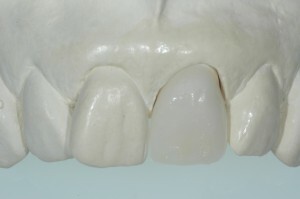 The result of veneers may be subtle, or it can be quite dramatic in appearance as well as in durability and function, depending on the skill of the dental team, the quality of the materials used, and the patient’s long-term dental care. 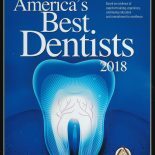 The natural look of veneers depends on the dentist’s artistry in creating their color, shape, and fit, and on the technical skill of the lab clinician using a flawless impression of the patient’s mouth which has been prepared by the dentist. 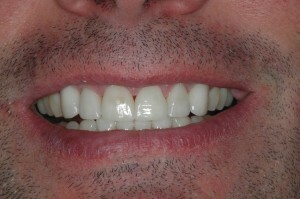 The examples of veneers are three of Dr. Emerson’s patients after treatment. 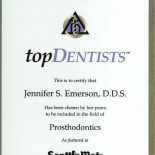 Note that the veneers have been sculpted to look like healthier natural teeth which fit with the appearance of the patient’s untreated teeth. 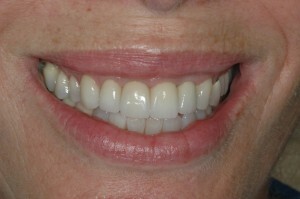 These veneers of these patients strengthen the treated teeth which will help the patients keep their treated teeth and their untreated teeth much longer. 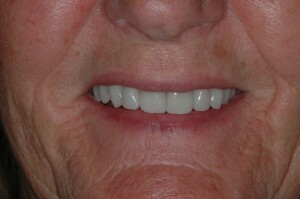 In most cases, veneers also improve the long-term chewing function of the patient’s teeth.